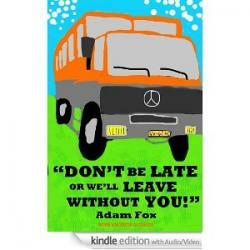 ANDY GOLDEN, ex-Sunday Mirror journalist, NUJ FoC and later MGN editorial convenor, has published a e-book, co-written with Adam Fox, entitled “Don’t be late or we’ll leave without you”. It’s a travelogue and story of a personal journey to overcome ME, or chronic fatigue syndrome. Andy is also one of our pensions trustee directors – in fact he’s deputy chairman of the trustee board. For more information or to buy online, go to http://www.amazon.co.ukand search for: DON’T BE LATE OR WE’LL LEAVE WITHOUT YOU Andrew Golden.